More than two-thirds of the members of the European Civil Liberties Committee have backed a proposal for new measures to strengthen the European Border and Coast Guard in order to enhance security. The proposal includes a gradual rollout of a new standing corps of 10,000 operational staff and more efficient return procedures for irregular migrants. According to a press release of the European Parliament, the revision of the European Border and Coast Guard Agency (Frontex) aims to remedy the current deficiencies, respond to the present needs and ensure the EU’s strategic readiness in the future in the field of security and migration. “The new standing corps could, at the request of a member state, carry out border control, migration management or return tasks. It would also include a rapid reaction pool for rapid border interventions. The standing corps would consist of 5 000 operational staff from both the Agency and member states, two years after the new rules take effect,” the press release reads. It further explains that the number of operational staff would gradually increase to 10 000, five years later, upon the entry into force of the rules. 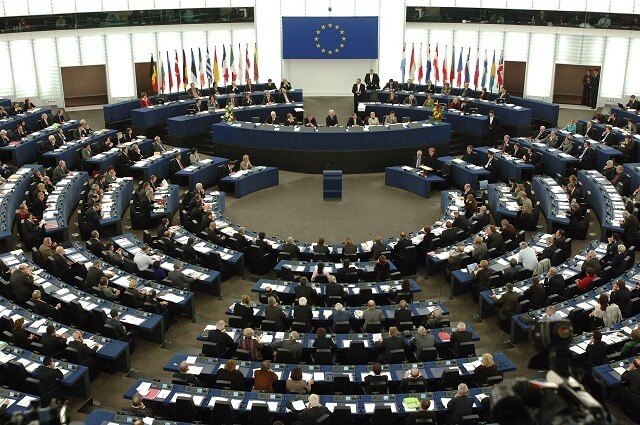 Rapporteur Roberta Metsola, a member of the Group of the European People’s Party and the Nationalist Party of Malta, asserted that this is a milestone moment, and the EU should address the main concerns of its citizens. “This new law will mean 10,000 new border and coast guards whose main aim is to better protect our borders and fight cross border crime. This law is fair to those in need of protection, firm with those who do not and tough on those who seek to exploit the most vulnerable,” Rapporteur Metsola said. The committee is expected to start informal talks with the Council, after getting plenary’s green light on the proposal. Frontex was established in 2004, tasked with border control of the European Schengen Area. Two years ago, it was expanded to become the European Border and Coast Guard Agency that it is today. It is headquartered in Warsaw, Poland.